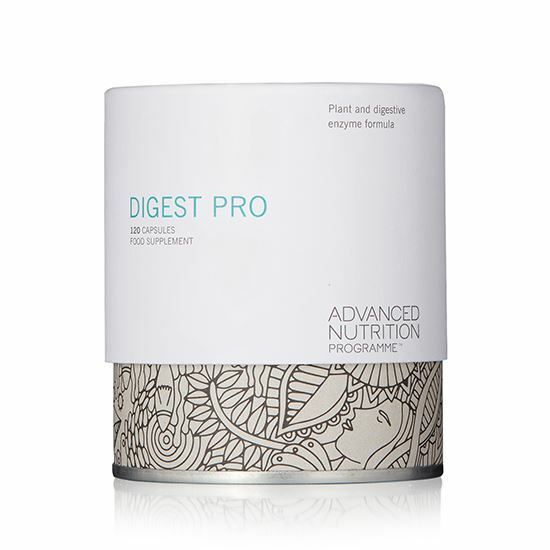 DIGEST PRO | iiaa Ltd | The UK and Ireland distributor of Environ Skincare, jane iredale makeup and Advanced Nutrition Programme. INGREDIENTS: Protease, vegetarian capsule (hydroxypropylmethylcellulose), fenugreek seed pdr, ginger rhizome pdr, fennel seed pdr, amylase, invertase, glucoamylase, bulking agent (rice bran), lipase, peptidase, diastase, xylanase, cellulase, lactase. pdr=powder. Take 1-2 capsules (children,1 capsule) with meals,or as your health professional advises. Store in a cool,dry place out of reach of children.